In the late 20th century, mainstream medicine succeeded in criminalizing all forms of abortion. 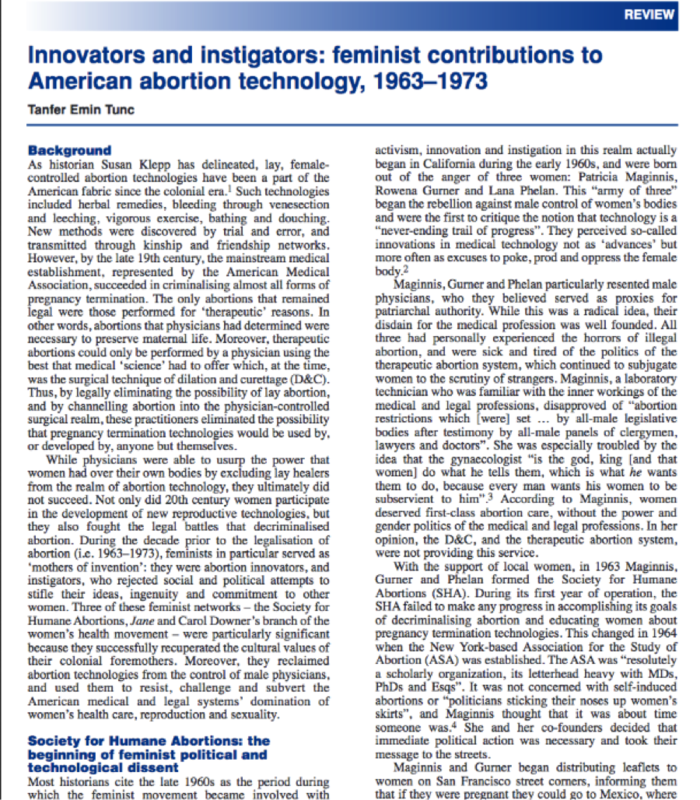 While physicians were able to usurp women’s power over their own bodies by excluding lay healers from the realm of abortion technology, they ultimately did not succeed. 20th century women developed new reproductive technologies and fought the legal battles leading to abortion rights.